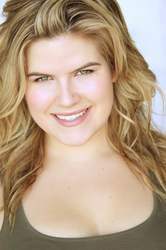 Erica Lindbeck is a North Carolina native who has spent the last decade training in theatre, film, improvisation, and voice acting. She is thrilled to play the roles of Futaba Sakura in Persona 5, Magilou in Tales of Zestiria the X, Taliyah in League of Legends, Kaori Miyazono in Your Lie in April, Eli Ayase in Love Live! School Idol Project, Azee Gurumin in Gundam: IBO, Jericho in The Seven Deadly Sins, Nori of the Sleeping Knights in Sword Art Online II, Ema Skye in Ace Attorney 6, Kanae Kotonami in Skip Beat!, Kaede Makidera in Fate/stay night: Unlimited Blade Works, and Manami in Durarara X2 to name a few. She is also the voice of Barbie. For more on Erica, you can check out her website at www.ericalindbeck.com, or find her on social media at Twitter, Instagram, or Facebook.